What can I say about mothers? They love unconditionally, encourage the pursuit of dreams and are the best huggers. I love my mami! And, what better way to tell mami I love her than with a beautiful cake? I think of all the cakes mami made while growing up. Cakes are the perfect way to tell her how much I love and appreciate her on this Mother’s day. 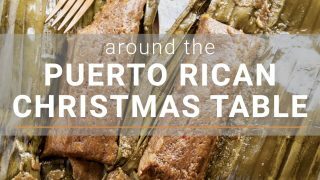 I have many childhood memories of being in the kitchen with mami. But, baking wasn’t her strong suit, and it’s not mine either for that matter. I guess you can say I inherited my baking skills from my mother. However, she’s able to create beautiful desserts with store bought angel food cake. 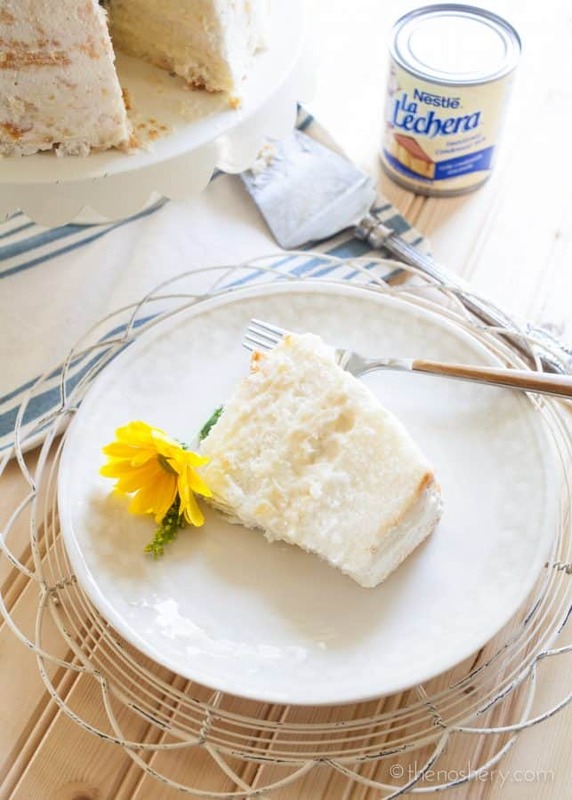 She makes different flavors of creamy filling using La Lechera Sweetened Condensed Milk and layers it into the cake. As a kid, I would always get excited watching her open a can of La Lechera because I knew that I would get to spoon out whatever was left behind in the can. Sometimes while she poured it into the pot, I would swipe the pour and steal a taste. Which would promptly be followed by mami giving me a little swat on the hand. It was a sweet, creamy treat to hold me over until the cake was made. 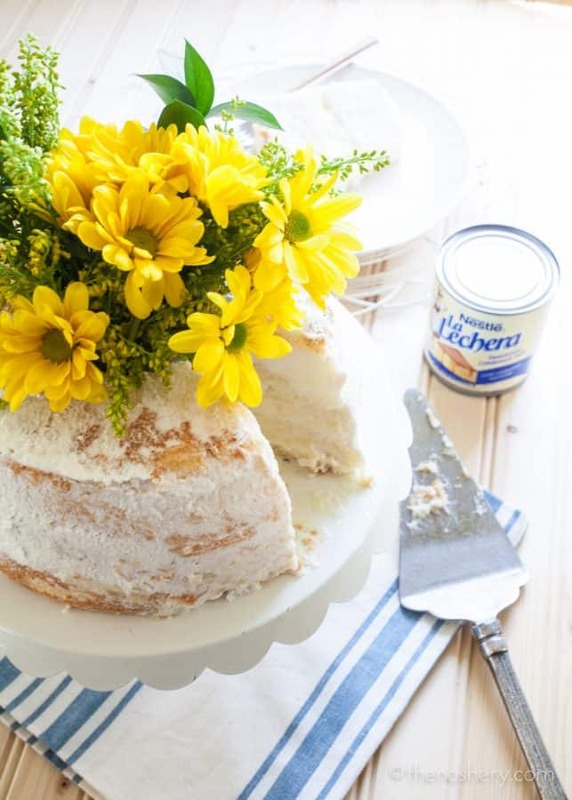 Mami may not be a baker, but she’s a gifted “filling maker” and makes a beautiful cake. In the center of the cake, I place a small plastic bottle cut in half to hold a small bouquet of fresh flowers. 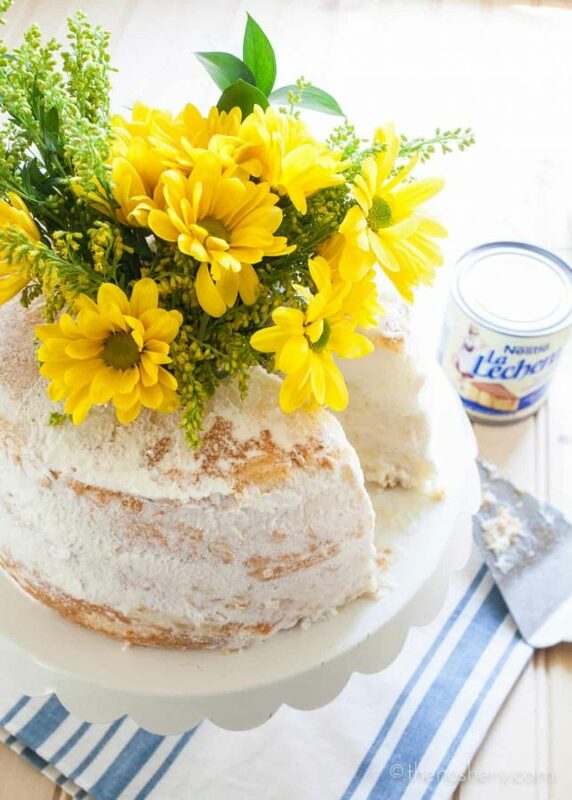 What better way to tell mami you love her on mother’s day than a pineapple cream angel food cake with a bouquet of fresh flowers? In a 4-quart pot combine 1 cup pineapple juice and cornstarch, whisk until well combined. Place the pot over medium-high heat. Add La Lechera Sweetened Condensed Milk and 1 1/4 cup heavy cream to the pot, whisk until well combined. Continue whisking and cooking until thick and creamy, about 5 minutes. Stir in crushed pineapple. Transfer to a large bowl, cover and let completely cool. Pour 1/4 cup of heavy cream over cooled pineapple cream. Using a hand mixer with a whisk attachment, whisk heavy cream into pineapple cream. Cut angel food cake into three layers. Spread pineapple filling between layers. In a separate bowl combine heavy whipping cream, sugar and coconut extract. Using a hand mixer whisk heavy cream on high until stiff peaks form. Frost cake with a thin layer of whipped cream. 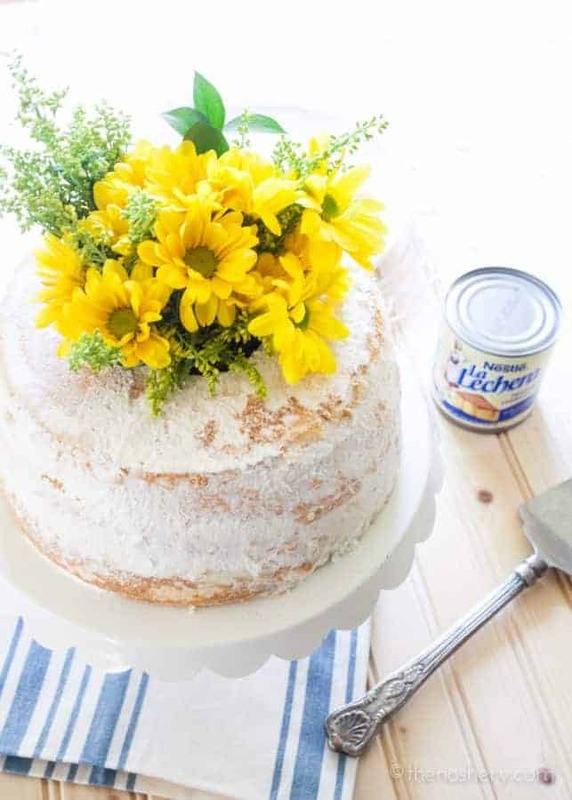 Cut a small plastic water bottle in half and place it in the center of the cake to arrange fresh flowers in the center of the cake. Serve cake slices topped with remaining whipped cream.